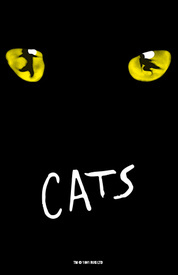 Based on T. S. Eliot's Old Possum's Book of Practical Cats, Andrew Lloyd Webber's musical is set among a larger- than-life junkyard playground and is alive with our favourite feline characters including Rum Tum Tugger, Mr. Mistoffelees, Macavity, Jennyanydots, Old Deuteronomy, Grizabella and Skimbleshanks. The Jellicle Cats come out to play on one special night of the year – the night of the Jellicle Ball. One by one they tell their stories for the amusement of Old Deuteronomy, their wise and benevolent leader, who must choose one of the Cats to ascend to The Heaviside Layer and be reborn into a whole new Jellicle life.